The new Srixon Z Series line features drivers, woods, hybrids, irons and utility irons. 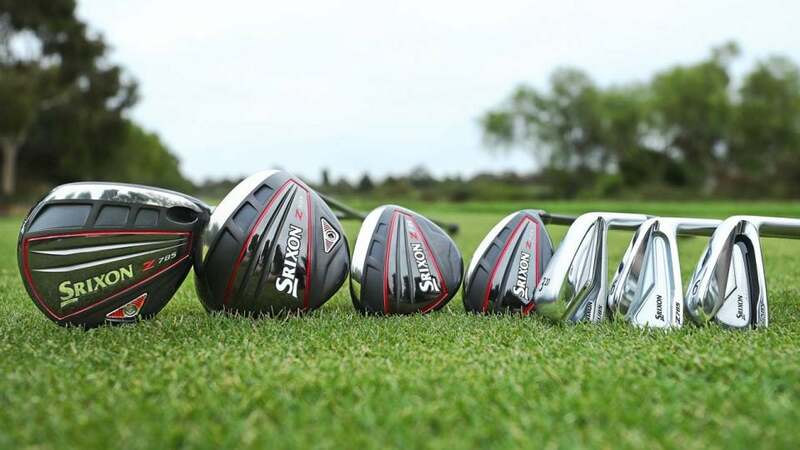 According to Brian Schielke, marketing director at Srixon Golf, the newest line of Z Series woods don't simply represent an evolutionary improvement over the company's past models but rather a "revolutionary" one, and for good reason. Though Srixon has long been known for impressive forged irons, the woods were always high-quality products that were often overlooked. With the new iteration, including most notably the Z 785 driver, things are about to change in a big way, as new technologies and materials have brought ball speeds (and distance) up to the level of the longer drivers on the market. Also new in the Z woods family are the Z 585 driver, a non-adjustable model with the same distance-inducing technologies as the Z 785, as well as Z F85 fairways and Z H85 hybrids. 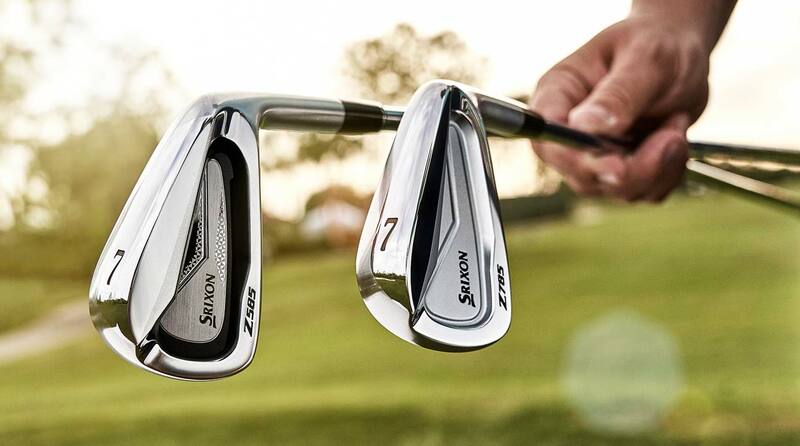 To go along with the new woods are new Z Series forged irons. Anyone familiar with the exceptional Z 765 and Z 565 models won't be surprised to learn that the newest iterations, the Z 785 and Z 585, are significantly improved while still offering the same look and feel as the past models. And for those fans of the sneaky good Z U65 utility irons, there's a new and improved Z U85 version that functions equally well from both the fairway and the tee. So check out the new Z Series from Srixon – maybe one will find a place in your bag sooner than later. PRICE: $499 The Z 785 driver is revolutionary for Srixon for a number of reasons, but mostly because it produces up to 3 mph more ball speed than the previous model, yielding up to ten more yards of total distance. The key to the impressive improvement is a new Ti51AF Cup Face, which is lighter and significantly stronger, allowing it to be made 10% thinner for more COR and ball speed at impact. The new Z 785 is also more forgiving than the past model due to a lightweight carbon crown that allows for a lower and deeper CG location. Customized adjustability is provided by Srixon's Quick Tune system that allows for fast loft, lie, and face angle adjustment as well as swing weight alterations via a choice of interchangeable weights (4g, 6g, 8g, 10g, 12g). In addition, the Z 785 comes stock with the exceptional Project X HZRDUS Black shaft, which is hand made in San Diego for the utmost consistency (fyi – they go for about $300 in the aftermarket). For those considering this good-looking new stick, it promotes a more boring, low-spin trajectory and enhanced workability over the non-adjustable Z 585 model. 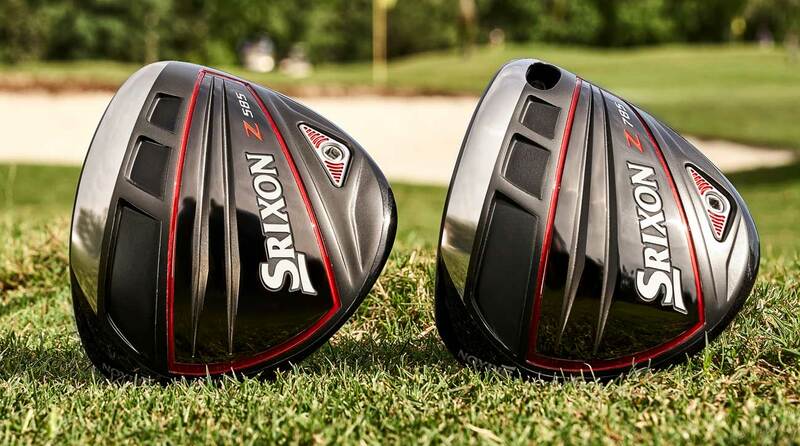 The Srixon Z 585 driver (left) and the Srixon Z 785 driver. PRICE: $399 Replacing the previous Z 565 model is the new Z 585, which is designed to produce a higher, straighter ball flight than the Z 785 with more forgiveness on strikes away from the enter of the clubface. Featuring the same Ti51AF Cup Face and lightweight carbon crown as the Z 785, the friendlier model comes standard with a Project X HARDUS Red shaft with an active tip section for higher trajectory shots for a wider variety of players. A slight draw bias is created by a removable weight located toward the heel of the clubhead that can also be used for swing weight customization, but the Z 585 does not allow for loft, lie, or face angle adjustment. PRICE: $250 each In order to make the necessary jump in distance the new Z F85 fairway woods are built with the same speed-enhancing Cup Face design as the new drivers, as well as a lightweight carbon crown for higher MOI and enhanced forgiveness. In addition a Crown Step design lowers the CG allowing for improved launch characteristics. The Z F85 comes standard with a Project X HZRDUS Red 65 shaft and is available in 13.5°, 15°, and 18°. PRICE: $230 each The new Z H85 hybrids are designed with a larger profile for more confidence at address and more overall forgiveness. The same stepped crown design featured on the Z-series fairways is also in play with the hybrids, producing a lower CG for improved launch and distance characteristics. Like the fairway woods, the Z-series hybrids are not adjustable but come in a selection of lofts including 16°, 19°, and 22° models. Project X HZRDUS Black 85 shafts and Golf Pride Tour Velvet 360 grips come standard. PRICE: $1000, steel; $1200, graphite Designed for discerning players that demand a soft forged feel, enhanced workability, as well as added distance and forgiveness, both the Z 785 and Z 585 irons should make any traditionalist happy. Featuring a blade-like clubhead with a small cavity and relatively narrow sole, the Z 785 has more mass behind the sweetspot for improved versatility, as well as a new Tour V.T. sole that improves turf interaction. The Srixon Z 585 irons (left) and the Srixon Z 785 irons. The Z 585 is slightly more forgiving and features a high-strength steel face insert in the forged clubhead for higher COR and ballspeed at impact. A new internal "speed groove," behind the clubface further enhances face flex across a larger area of the hitting zone for extra forgiveness on off-center hits. The Tour V.T. sole improves turf interaction as well. Both new models come standard with Nippon Modus steel shafts with a Miyazaki Kaula graphite shaft also available. PRICE: $200 each One of the somewhat surprising successes for Srixon in recent years was the Z U65 utility iron, which very nicely blended the distance and versatility of a hybrid with the added control of an iron. The newest version also features a forged construction similar to the Z 585 and Z 785 irons, but is built with a hollow club head and high-strength face insert that allows the club to behave more like a wood. What this means is higher launch, higher flight, and more distance for a wide variety of players. Because the Z U85 features a more iron-like design than typical hybrid clubs, it can easily be blended with the other Z irons for a truly customized set. Lofts available include 18°, 20°, 23°, 26°, and 29°, all with UST Recoil 95 graphite shafts as standard.